Here at Nursing Bra shop, we know how important it is to feel comfortable in your bra. 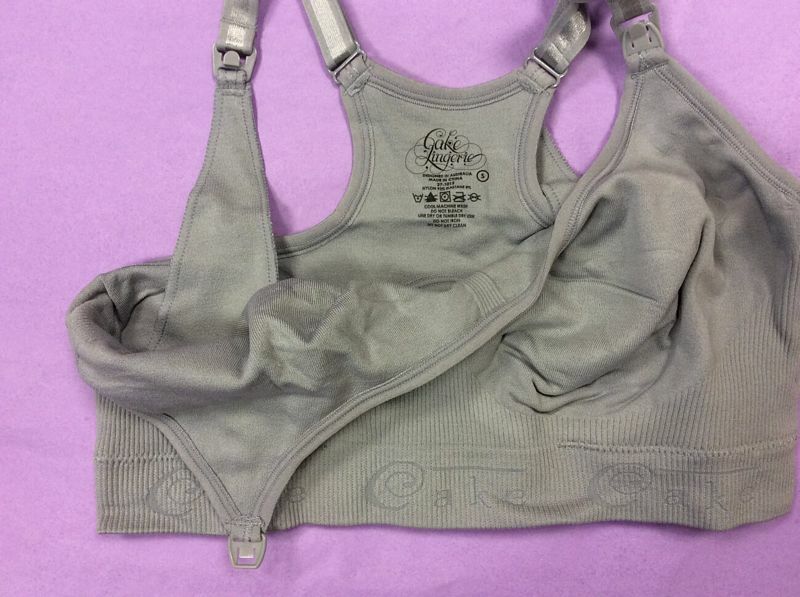 This is Cake Lingerie’s Grey Cotton Candy Maternity and Nursing bra, which has been designed with comfort in mind! It is made of silky soft material, without seams or tags that could irritate sensitive skin, and flexible sizing means that it should be comfortable for longer. How about the structure of the bra? It has a crop top design with an internal support and strength panels designed to maximise lift and support. The cups are moulded fabric without seams or tags, which means that this bra offers a smooth silhouette under your clothes but will be soft and comfortable to wear. How practical is this bra? The back is built like that of a sports bra to give you support, so is unsuitable for wearing under strappy tops. It is fastened with a hook and eye. There are one handed maternity clips on the straps, allowing you to feed your baby discreetly with the side sling design of the cups. This bra can be machine washed at 30 degrees, making it even more useful! So why do we like this Grey Cotton Candy Luxury Seamless Maternity and Nursing Bra from Cake Lingerie? We believe that it is a brilliant staple from an award-winning brand (Cake Lingerie was voted UK Maternity Brand of the Year in 2011). We love the flexibility of this bra, with the fit adjusting to suit you and the ability to wear it during and after your pregnancy, and even at night!